Discussion in 'ASUS AX Routers & Adapters' started by RTN, Sep 2, 2017. 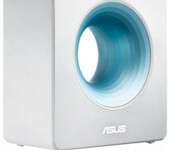 ASUS announced the first router based on the draft 802.11ax standard at IFA in Berlin. The RT-AX88U is a 4x4 design using Broadcom's 11ax platform, according to WikiDevi. Neither price or availability was announced. More information is in the press release below. and 4804 Mbps on the 5GHz band. environments, while also increasing network capacity and efficiency. for each other - perfect for homes with a growing number of smart, connected devices. reducing power consumption and improving device battery life." ophilar, Nullity, Asussnb and 1 other person like this. O know not another one... Gold antennas must mean something great. Murtaza12, joegreat, buddyp and 2 others like this. Aka Malachi on the dd-wrt forum. Ars92, drabisan and TheLostSwede like this. That was unexpected. The latest GPL drops refers to three different 802.11ax models, all of them in the ROG line, but no mention of this one. I wonder, will they do a quad band version, 1 2.4GHz radio, 2, 5GHz radios, and 1 802.11ad radio? Also, are they finally ditching the decrepit 1GbE? Unlikely ..... from what i have heard ..... not sure it's possible to co-exist and operate 802.11ad and 802.11ax standard together. 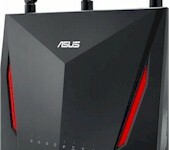 Although ASUS has 802.11ad 1x1 on board on both their ASUS Intel X299 ROG Rampage VI Extreme (ASUS AREION 10GbE onboard) and ASUS AMD X399 Zenith Extreme with (ASUS AERION 10GbE as separate NIC). Gold antennas I have to have it ASAP! Murtaza12, Darcy, joegreat and 1 other person like this. Is Broadcom abandoning their Smart Connect / Tri-Band solution? 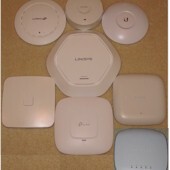 I do see the benefit of Smart Connect as some homes gets flooded with new wireless devices so having the extra wireless NIC so you can off-load "useless" devices to their own NIC in order to achieve better throughput for your more meaningful devices on it's own wireless NIC makes a lot of sense. But it doesn't seem like Broadcom has done much with Smart Connect since they introduced it? 802.11ax seems like the logical successor to 802.11ac, while 802.11ad seems like something only suited for very specific applications not really all that suited and logical for consumers due to the requirement of line-of-sight and how easy it is to break the connection / degrade performance. 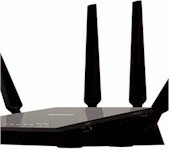 It also seems like most of these devices featuring above 1Gbit ports relies on Ethernet controllers from "Annapurna". I'm not a huge fan when companies starts adding controllers from rather unknown third-parties into the mix. 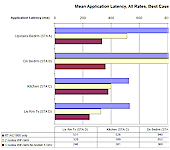 Why can't they use higher throughput NIC's from Broadcom in their Broadcom based models and Qualcomm-Atheros in their Qualcomm-Atheroes based models? I guess it's all about cost? But it feels like "Quantenna" all over again. Is Broadcom abandoning their Smart Connect / Tri-Band solution? 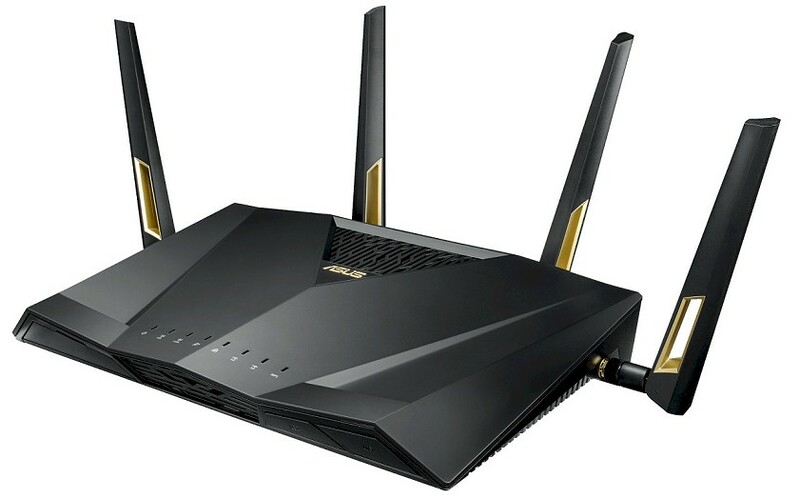 The GT-AC5300 released only a few months ago is a triple band router and is based on the latest shipping platform from Broadcom. I don't see why you think Broadcom has abandoned it. I'm not able confirm anything either due to confidentiality and NDA whether what Wikidevi has posted is accurate or not. joegreat and Ars92 like this. Ethernet ports look like 10 GbE! The Aquantia AQR407 can provide four 10/5/2.5/1 GbE port and the AQR107 provides another one. Specs on the Broadcom BCM49408 are vague, but it looks like a 5-port 2.5/1 GbE switch. I think the AQR107 is used for the WAN port, so 4x 10 GbE and 4x 2.5 GbE LAN and 1x 10 GbE WAN. 5 GHz is a 4x4 MIMO implementation with 160MHz channels, good for 1200 Gb/s for each stream and 4.8 Gb/s total. 2.4 GHz is also a 4x4 MIMO implementation, but doesn't support 802.11ax! It's 802.11n with NitroQAM (1024-QAM) and some other proprietary Broadcom stuff. It's really disappointing if the final product doesn't support 802.11ax on 2.4 GHz, since it is one of the big improvements of 802.11ax. These are VERY early days for 11ax. The standard is at the first draft and isn't even scheduled to be released until July 2019. So any products released at this point are going to be a mashup of old and new and will not support everything that is in the DRAFT standard. As I've said before, buy this stuff at your own risk. jerry6, rbird2, thelonelycoder and 9 others like this. I'm not familiar with 11ax standard, but it sounds to me like a standard that will be useless unless you are so close to your router that you might as well be connected via Ethernet. You're thinking AD. AX will have the same range as AC. David B and sentinelvdx like this. I know AD is like that, but my expectation was that AX was not going to be any better. If it is, then that's impressive. AX is more about capacity than single client throughput. One single computer will probably not see much of an improvement on throughput, from what I gather. sentinelvdx and David B like this. Do any current devices support AX.